Happy New Year! When I was a teacher, September offered the excitement of a fresh start and the comfort that came with returning to my sturdy, reliable classroom. A new school year meant another opportunity to continue my professional learning and improve the educational experiences of my students. Technology offers teachers myriad ways to access professional learning and network. As a high school special education teacher, I often attended professional learning alone. I was a math department of ‘one’, in my center-based program for students with severe emotional impairment. I taught special education, but with a content focus — a content focus for which I lacked a formal mathematics background. Despite my wonderful and patient colleagues, I felt like a square peg a lot of the time. But technology gave me access to exactly what I needed. This summer I had the amazing opportunity to participate alongside 13 other “innovators” at Innovator Weekend, part of Redesign Challenge, where educators designed and prototyped ideas to improve professional learning. A theme emerged: loneliness. All of us educators, feeling isolated, under-supported, and alienated, designed solutions that provided connection, community, and customization to support professional learning. The focus of the weekend was to identify ways video can improve professional learning, but beyond video, technology is central to meeting our professional goals. So, this September, I invite you to use technology to not only support student learning, but to support your own professional learning. There are many online resources. Here is a brief list of my main sources of information and inspiration. Twitter: I am about 5 years late, but this summer I finally figured out the power of Twitter as a source for professional learning. Start by following your favorite educational organizations (National Council of Teachers of Mathematics, Edutopia, etc. ), educators like Dan Meyer and your coworkers or local math consultants, and helpful tweeters (if you like something that’s been retweeted or attributed to another user, follow them, too!). Then all you have to do is check your account every now and then and read the posts. I like Twitter because I can follow a diverse group of people, notifications are pushed to my account, and I can receive tweets on my computer and mobile devices. 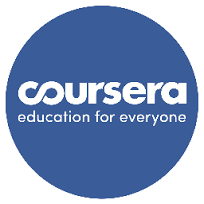 Online courses: Coursera offers free online classes from the nation’s top universities. Skillshare offers short (15 minutes to 3 hours) courses from national experts for a fee (monthly and annual subscriptions are available). When I need to fill in my own learning gaps, I like having a place to go with lots of options and high quality instructors. Between Coursera and Skillshare, I can find just about anything I need to know about (math content, motivation, learning theory, marketing, etc.) for the right price and the right time frame. edWeb: Special Ed Tech posts edWeb.net events. EdWeb is made up of communities, formed around a variety of topics including content areas, technology, college and career readiness and more. When you join these communities, announcements are pushed to your email account and “Your Feed” is perpetually populated on your edWeb account. EdWeb connects you to articles, blogs, webinars, colleagues, and more all around the focus area of the community. Whatever your source for professional learning, enjoy the journey this year! Tagged Coursera, edweb.net, Kate Fanelli, MathTech, Redesign Challenge, Skillshare, Twitter. Bookmark the permalink.